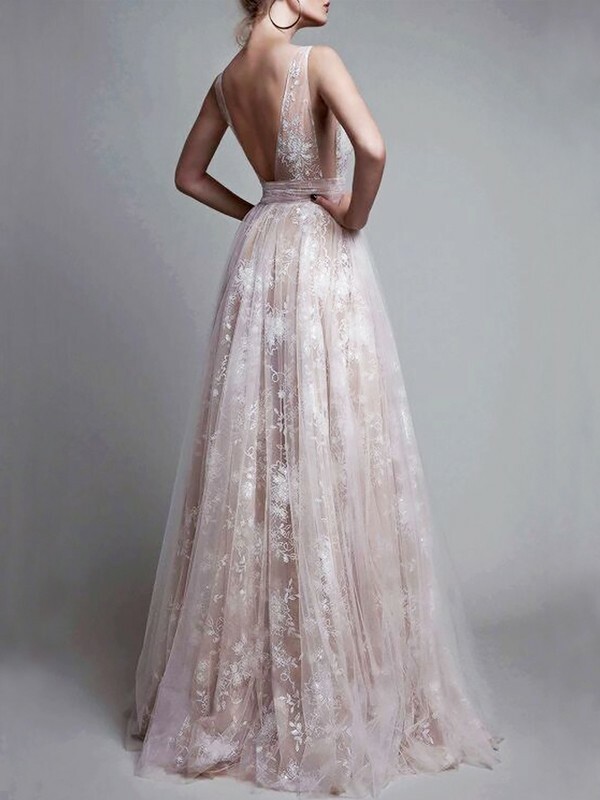 Cheap Champagne Tulle V-neck A-Line/Princess Floor-Length Dresses in Formal Dresses - Special Occasion Dresses at Bonnyin.com.au online Australia with high quality and affordable price. I received this dress just yesterday, it took me weeks to receive the dress. I was a little hesitant with the previous picture that I did not see on the model, but it fits perfectly! I am very happy with this dress.